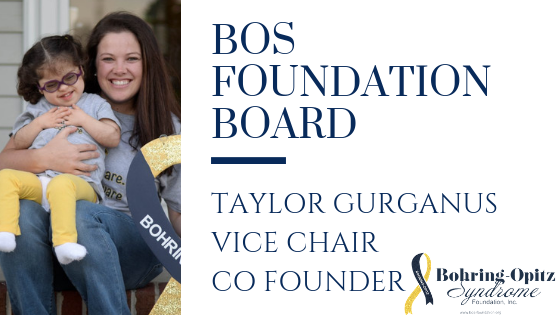 Monday Meet the Board- Taylor Gurganus — Bohring-Opitz Syndrome Foundation, Inc.
We are thankful that Taylor Gurganus continues her efforts to provide the best quality of life for families living with BOS. Read more about Taylor below. Taylor Gurganus was born and raised in Northeastern North Carolina. She holds a B.S. in Elementary Education from East Carolina University with a Middle Grades Mathematics add-on. Taylor currently lives in Elizabeth City with her husband, Chad and their two daughters. Taylor has always had the passion to better the lives of children. 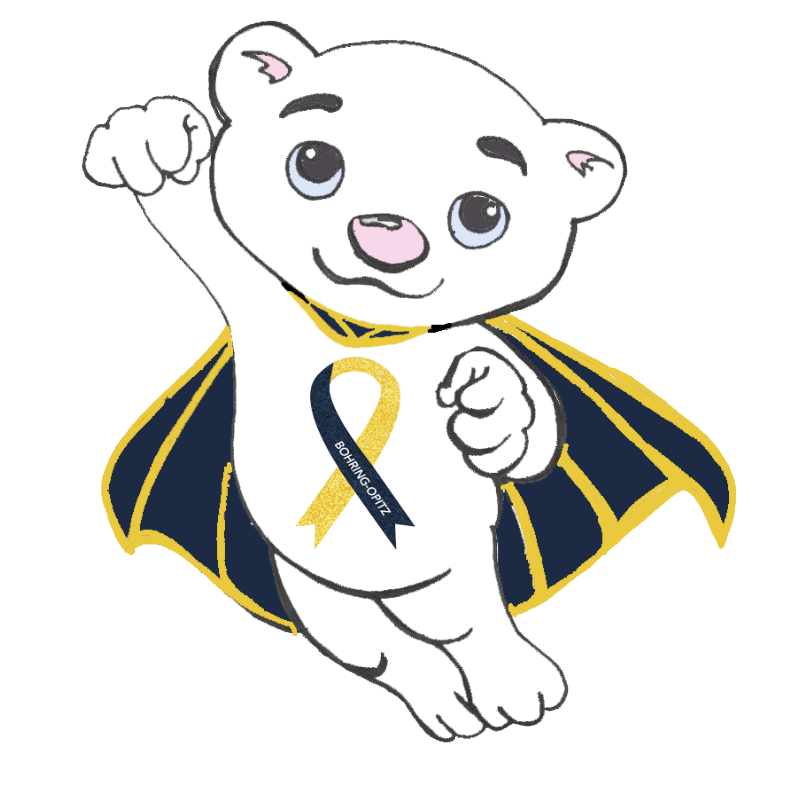 Taylor has extensive first hand experience working with children who have mild to severe disabilities. During college, Taylor worked with several children who had Down syndrome and autism. She would prepare educational lessons, assist with daily activities, and fun learning environment to improve their life skills. In 2014, Taylor had her first daughter, Talynn. Talynn was born with a rare genetic syndrome called Bohring-Opitz Syndrome. Taylor now works as an Infant Toddler Family Specialist and has become very familiar with numerous therapy techniques that support children with developmental delays and/or health issues. Taylor Gurganus is a hard worker with an outgoing personality. She will go above and beyond to make sure all children have a positive learning experience.